After 3 years the Canadian Senate has finally passed a Bill to outlaw the captivity of whales, dolphins and porpoises in Canada. Bill S-203 now needs to be passed by the House of Commons by May. If it is approved, a fine of up to $200,000 could be imposed on anyone keeping and breeding whales and dolphins in captivity. Liberal senator Wilfred Moore introduced the Bill in December 2015 and fought a long legislative battle to get it passed. He retired last year and was not present when the Bill passed. It will now be sent to the Commons for further debate among MPs which could already take place before the end of this week. The final vote could be before the end of April 2019. There are two captive facilities in Canada that would be affected: Marineland in Niagara Falls, Ontario, and Vancouver Aquarium which both opposed the ban. 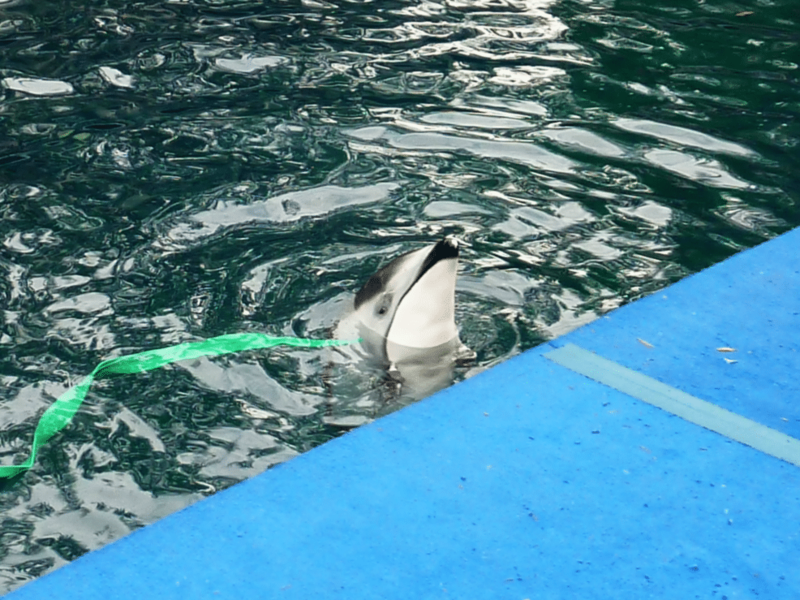 Vancouver Aquarium holds a single Pacific white-sided dolphin, Helen, in captivity. They usually live in groups of 10 and up to hundreds and even thousands in the wild. Vancouver Aquarium recently stated it would no longer display whales or dolphins as protests have become a “distraction” for their business. Marineland holds a single orca, Kiska, caught from the wild in 1981, around 50 belugas and five Black Sea bottlenose dolphins captive in small tanks. The bill will phase out captivity over time through a breeding ban because it would also prohibit the importing of whales, dolphins or porpoises, or their sperm, tissue cultures or embryos. However, Marineland would still be able to keep the whales and dolphins it holds even if the legislation passes the House of Commons next year. The growing uneasiness with the concept of keeping orcas and other dolphins and whales in captivity has only been increased by the renowned documentary Blackfish, documenting the reality of the captives’ existence. The Bill excludes rescue and sanctuaries for whales and dolphins. Many supporters of the Bill hope that the whales and dolphins who are currently held captive in Canada could be relocated to a sea sanctuary where they can live more natural lives if they cannot be returned to the wild. WDC is currently building the world’s first beluga whale sanctuary with Sea Life Trust in Iceland and is also working in partnership with other sanctuary projects, such as the Whale Sanctuary Project in North America and the Dolphin Sea Refuge in Italy. It is hoped these projects will help to encourage the rehabilitation of more captive whales and dolphins into natural environments around the world, and one day help to bring an end to whale and dolphin entertainment shows. Please support WDC’s work to end captivity by making a donation – however big or small – it makes a difference.